Global warming and climate change are the most important phenomena of the century with an impact on the water resources throughout the world. 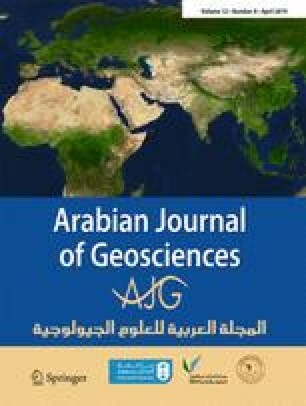 Increases in temperature led to changes in amount and time of precipitation, as well as evaporation across the world; as a result, variation in quality and quantity of the surface water and groundwater resources emerged. In the present research, two models of water general circulation, namely, CanESM2 and HadCM3, were used for 30-year period (1990–1961). For assessing the models, the mean absolute error and ​Percent Bias (PBIAS) index. PBIAS index were employed and CanESM2 model was used for determining the required factors of Visual-Hydrologic Evaluation of Landfill Performance (HELP) in order to investigate the recharge rate of groundwater resources between 2011 and 2099 for five soil types in the west shore of Lake Urmia, Iran. Generally, the climatic change led to increase in recharge rate of groundwater for all soil types selected from Urmia Plain. The predicted values for recharge rate by the end of 2080 period for clay, gravel, sand, sandy clay, and silt clay are 15%, 9.3%, 13.9%, 13.2%, and 10.8% higher than that of recharge during the observational period for each soil.